Today (9/8/2011) I was in the company of community members from Tandale, Dar es Salaam to help them undertake mapping of their own community and also talk about community media. To be in Tandale, Tanzania was exciting but being with follow women was even more exciting. When starting the discussion about the importance of mapping, it occurred to me the issues which women were relating directly consumed a lot of time. Also some women were happy to learn that they will be trained on how to use video cameras to tell their own community stories which will be put in the internet and read worldwide . 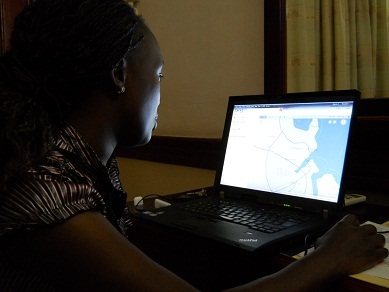 I am happy that we have been able to identify both women and men who will be trained on the use of global positioning system (GPS) and how to download data into the computer. You are currently browsing entries tagged with Worldbank at Map Kibera.